For the past year I’ve been doing software consulting from my home office. This has a lot of advantages, but recently I decided I needed to get an office outside of my house. Now that I’m sitting in my new office I thought I’d write a blog post on why I did it. I’ve been reading a couple of books in the last few weeks that influenced my decision. One was Manage Your Day-to-Day, edited by Jocelyn Glei one of the editors at Behance. It is a collection of essays from different “gurus” on how to be a freelancer better. One chapter is a Q&A with Seth Godin. His answer to the question, “What’s the hardest part about getting a daily routine right?” is what got me thinking office. I’ve also been reading, The Power of Habit by Charles Duhigg. One of the points of the book is that habits are how we live our lives. Even really complicated behaviors are often habits. Duhigg breaks down a habit into Cue-Routine-Reward. Something triggers the habit (Cue), our brains go into autopilot, and we just do the routine. This means if you want to consistently do something, you need a cue. One kind of cue is a change of environment. This is the beginning of what Godin calls a Practice for work. My office is my new cue for working. When I get to the office it is to work. To create. Even now, during the first time I’ve been to the office when it was mine, I’m working. I’m writing a blog post. Even though I’ll have to go home to post it because my Internet isn’t hooked up yet, I’m working. When you work for yourself and have no employees or coworkers, you have very little face to face interaction with other people. Add to that I’m are new in town and it can get lonely. Actually it really isn’t lonely, it’s more stir crazy. There have been a number of days in the last couple of weeks where I’ve gotten up early in the morning and gone to bed late at night and never came in contact with another human being (my wife’s been out of town 11 of the last 14 days.) That’s just not good for you, even if you’re an introvert. Getting an office at least forces me out of the house. Working from home means work can never start and it can never end. It is easy to do just one more thing around the house before you start working, or to wash some dishes during a programming break. Those dishes turn into cleaning the whole house and you’ve spent a couple of productive hours doing the wrong thing. The opposite happens too. If I’ve got a project due for a client and I sit still for a few minutes at the house doing nothing, I’ll feel the need to go work. Doesn’t matter if I worked all day on the project, because it’s just a walk down the hall to my computer. It is easy to keep working. I also have insomnia, and if I wake up at 3 AM one of the things that plagues me out of bed is work that needs to be done. Having an office means work is in one place, and home is in another. There are a few other small things that make this office better than my house. Surprising to me, these are the kind of quantitative reasons most people would use to justify the expense. DistractionÂ I love my wife and have missed her dearly when she’s been gone these last couple of weeks, but she’d been home one day when her legitimate interruptions of my work started to bug me. When I get in the zone programming, any little thing can pull me out. Then it can take 15 minutes to an hour to get back in the groove. Having my own office will lower that. The internet should be blazing fast. One of Abilene’s business Internet providers is in the building and they have a special deal for tenants. They’ll hook you into there fiber network and you get 20-30 megabits down and 10 or so upload. 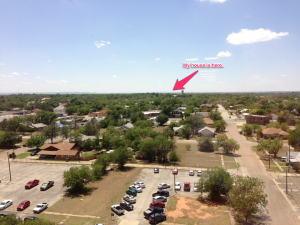 Office rent in Abilene is dirt cheap.Â I’m renting a 500+ square ft office for under $400/month. It includes utilities and office cleaning. Ego. 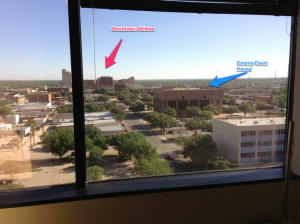 It adds a little cache to be in the tallest building in Abilene. (Twenty floors if you were wondering) Also adds some legitimacy to some clients to have a “real” office in a high rise. 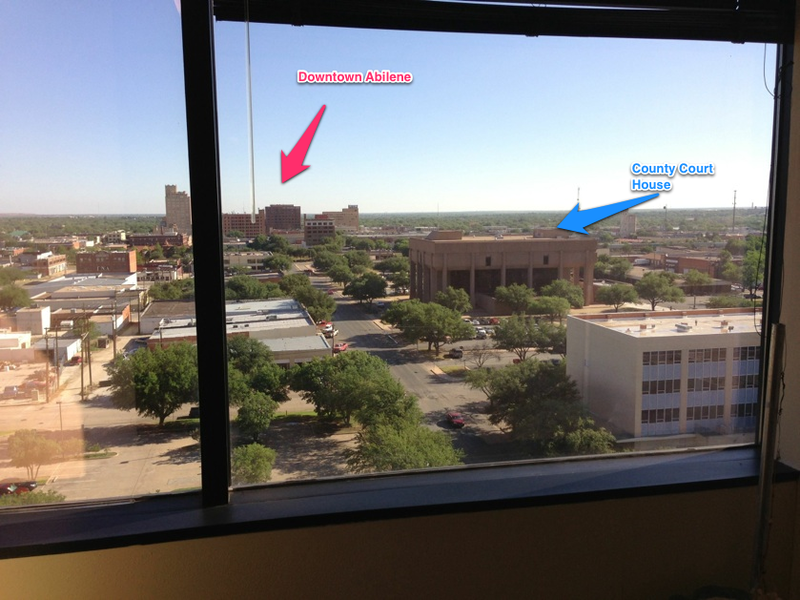 And, being on the 8th floor, I can look down on Abilene. View from window near elevators. Just today I saw on twitter a discussion of how every photographer hurt by the current economic woes was starting to teach workshops. In a sense the market is getting flooded with new photography instructors, which is causing a flood of supply. So I started thinking, how can we give ourselves an edge in a market flooded with competition? It made me think of another market I’m part of as a consumer. The “internet marketing” niche. Everyone who has ever read a biz-opt book wants to start selling their own how to make money on the internet product. How do the people who lead that market – the guys making huge money – succeed when others don’t? And how can we apply that to our market? All of them say they are selling the secret. Cooler launches, better sales copy, wizbang video products. But I think I’ve figured out what their real secret is and now want to do that same thing in our photography instruction market. I’m Ron Davis, the guy behind the Photographer and Model blog, podcast and academy. I teach in the specific photography niche of photographing models. I’ve also got an online course teaching Pinup Photography. This is my personal blog, where I talk about all kinds of things, including my business and trying to make a living teaching photography online. If you got invited to read this, it is on my personal blog because I don’t talk about the business of Photographer And Model on photographerandmodel.com, my model photography instruction site. The most successful people are part of a Mastermind group. The term was coined by Napoleon Hill in the classic “Think and Grow Rich”. He studied industry leaders like Andrew Carnegie, Henry Ford, Thomas Edison, John D. Rockefeller, Sr., Charles M. Schwab and found one of the things they had in common was they were part of a mastermind. A mastermind group is a group of people dedicated to accomplishing one purpose. There are two kinds, one where you are trying to do one particular thing – like corner the steel market. The other is a group of like minded people all working toward a similar goal – like making a living teaching photography online. I’m trying to form a group of like minded photography instructors to work together to help all of us accomplish our goals to make money teaching online. There are lots of advantages to being part of a mastermind. Encouragement. It is tough trying to do this on your own. You need friends and colleagues who understand what you are going through. Accountability. They can also hold you accountable to your own goals. Giving you that kick in the seat of the pants that helps you get things done. And they can tell you when you are producing crap and need to step it up. Learning from each other. We all know different things. Some people are excellent bloggers, some great with video, others understand email marketing. By getting together we can all bring our strengths together and increase each other’s success. Also it is sometimes good to just get another perspective on what we are doing. Social proof networking. Image you are in a new city looking for somewhere to eat. You see two restaurants, one has a bunch of cars in front of it and one’s parking lot is empty. More than likely you are going to pick the one with lots of cars because it indicates that one is good. This is social proof. If everyone is talking about something then it must be good. Our mastermind members can coordinate talking about each other products to create social proof as well. So how does an online mastermind work? Details will have to be worked out and tested, but here’s my plan to start. What have you done since last month? What is you biggest struggle we can help you with? What are you going to do before next month? This would accomplish all the benefits of the mastermind as succinctly as possible. A email discussion list. Between meetings we’d still be able to toss around questions, problems and new things we’ve learned via email. There is no cost to be part of this mastermind. Some masterminds have a charge to make more advanced people be willing to be part of it. We’re all in this together with no one getting paid to be there. Other groups have a monthly charge to make the members take it seriously. Hopefully we won’t need that. A website dedicated to your photography teaching. A willingness to do and not just talk. and at least one of the following. An email list with over 100 people on it. A twitter account with over 1000 followers. A facebook page with over 100 followers. 100 subscribers to your RSS feed for your blog. If you are qualified and interested in being part of the mastermind group send me an email (mastermind at photographerandmodel.com) telling me about what you are trying to do with your online teaching business. I’m thinking we’d have our first call in early January. Feel free to leave questions in the comments as well. If you think you are the only person your customers buy from you are mistaken. You would have to not only sell something totally unique, the customer would also have to only need one. In the vast majority of cases you make something that is one of a group of things your customer buys multiples of. If your business like mine is based on selling information about a subject, your customer is buying from lots of people. (I teach model photography online). I don’t have any illusion that people who buy my online pinup workshop don’t ever buy another photography course. Heck, I assume they buy other courses and attend other workshops. I hope they do, then I can make more courses to sell them, and I can promote other people’s course as well. Do You Really Have Competitors? If I know my customers are going to buy other people’s stuff, are those people really competitors? Do you know what the biggest indicator that someone is willing to buy your product? That they’ve actually bought before. The biggest reason someone doesn’t buy your product is they aren’t going to buy any product. If you want to find good potential buyers for your product, look for people who have already bought a different product. There are two places to find these people: buyers of your other products, and buyers of your “competitors” products. Puts your competitors in a different light, doesn’t it? Now they are a source of high quality customers. 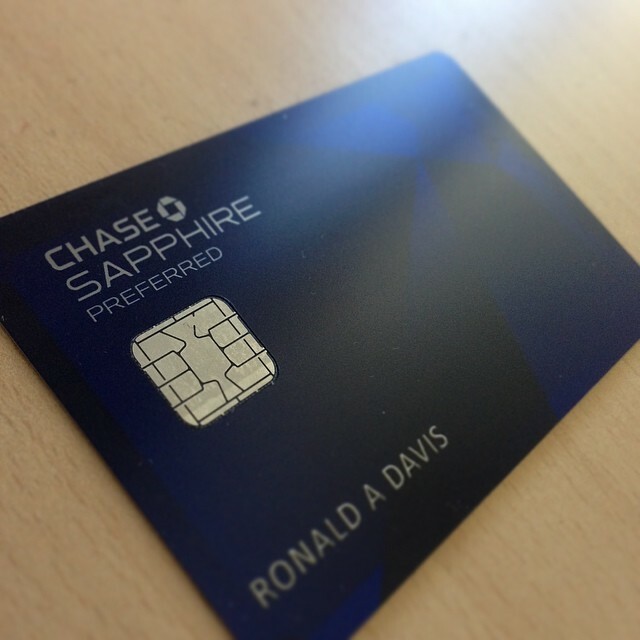 All you need to do is give them an incentive to send those customers your way. The easiest incentive is to just pay them. Give them a cut of what you make when one of their customers buys your product. Second is to offer to sell their product for them. Promoting their product first is an act of good faith and shows you aren’t worried about losing something by sending prospects to someone else. You may have to convince them this is a good idea. You can send them to this post, where I try to convince you don’t really own your customers. Obviously this is something you need to think about. It may in fact not be true for you, but hopefully it opens your eyes to the possibility. And if your business doesn’t lend itself to competitors as partners, maybe you need to find a different way to do business. All the credit for this new habit must go to Eben Pagan. I recently bought into one of his products and in the end it turned out not to be right for me, but the bonus teaching he gave with it is really working. Its why you are seeing this post right now. Eben says we are all creatures of habit and if we want to succeed in life, or at a particular task, we need to create positive habits that get us there. As sort of a general principle for entrepreneurs he has three daily rituals you need to have. 1. Daily exercise and revitalization. You need a time where you are using your body and letting your mind not focus on the task at hand. The exercise has all the long term health benefits, but it also has short term mental and emotional benefits. I like to think of exercise as clearing out all the emotions in your body. So much of what we feel isn’t in our heads, but in our body. When you exercise that kinds of gets pushed out. In general the emotion of working out is positive, or at least becomes positive as you make it a habit. I actually made a video on my old video podcast about emotion and the body. I have to confess this one isn’t a daily ritual for me yet. I’m still running in training for the Houston Half Marathon, but not on a daily basis. Not even on a 5 day a week basis, but I am going to pick that up. 2. Business Dashboard. Peter Drucker said “Measure what matters”. And what you measure is what changes for the better. I’ve found this idea very relevant in all walks of life. Eben says you need a business dashboard that you – or someone on your team – updates on a daily basis with the most important stats in your business. And he gives you a very easy way to do it. Just make a spreadsheet. Dates down the side, stats as colums across. Mine basically has traffic to my websites, sales of my products, subscribers to my email list and podcast. I now update it every morning for the day before. 3. Create a piece of content every day. Just create something. For me that has mostly been blog posts, but it could be video scripts, or emails, or info products. It’s the reason I’m writing this post today. That’s it. Really simple and can make a big impact on your life and your business. Now I’m off to update my dashboard. Improving my To-Do list and getting things done has been a priority for me lately. I’ve been launching a business and specifically a new product and things were getting done, but it was often very hard to get them done. I kept working and working and feeling I hadn’t done much of anything. Every time I removed something from my To-Do list, I felt like there was just as much left. Its kind of like the laundry. You do it and by the time you get the basket back there is already new dirty laundry. I use Evernote for everything. I do this for a number of reasons, the biggest being I work in a lot of different places, home computer, work computer, iPhone. Evernote lets me keep all the stuff I need on all of these machines without having to think about it. I started using it when I stopped bringing a laptop to work and needed to keep things in sync. Now I put about everything in it. I started out with a single note with my To-Do list in it as text. Then I’d change the format to strike through when I finished it. This didn’t work for a couple of reasons. First, Evernote doesn’t let you edit notes with mixed formatting on the iPhone. So I couldn’t mark things done from my iPhone. I could add things, but only to the end of the note, which wasn’t super useful. Second, all that crossed out text started hiding the stuff that still needed to be done. I tried moving it around, but that didn’t help much either. So I started just deleting it. Which is where my mental problem came in. Often we think of a To-Do list as a time management tool. That we don’t have enough time to do everything we need to. But, for me at least, I have enough time to do stuff. What I don’t have is enough motivation. If I feel like I’m not accomplishing anything, it gets harder and harder to keep doing the next thing. The opposite is also true. If I’m on a roll and getting stuff done, then I want to do more. That feeling of accomplishment is fire the engine. About a month and a half ago, I started a new note in Evernote called Finished To Dos. Whenever I finished something in my To-Do list, I’d cut it out of the To-Do note and paste it into the Finished To Do note. I’d group these by date. This got the done To-Dos out of the list and keep it clean. Filling up the finished list gives you a little energy boost every time you paste something in it. Plus you get to where you want to beat your personal best for number of items added in a day to the finished list. Peter Drucker says, “Measure what matters.” If I want to get stuff done, then I need to measure what I get done. This method gives me detailed data on what I’ve done for later analysis. Sometimes something comes up that isn’t on your todo list but needs to be done right now. When that happens I still enter it in my Finished To Do list. This has made a dramatic improvement in my getting things done. It has also made positive mental impacts. I feel like I’m getting stuff done. I feel a surety that things will get done. I don’t have a worry that I missed something. A surprise is it gives me more free time. Actually really it gives me more non-guilty free time. Say I want to watch a couple of episodes of my Farscape DVDs. In the past I’d have done it but I’d have felt I should be doing something else. Now I can look at my Finished To Do list and know I’ve accomplished plenty today and can take some time off. Have any of you done anything like this? If so leave a comment below. Try it out and give me your feedback in the comments below as well.